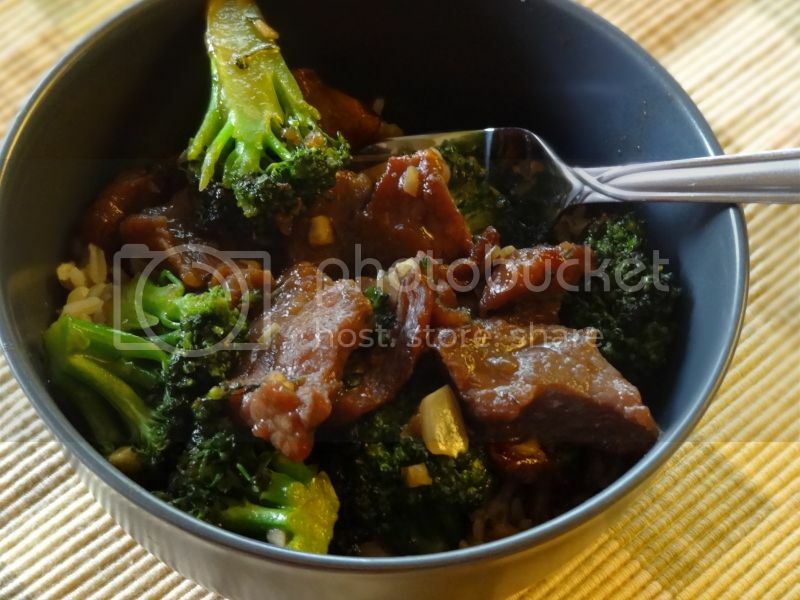 I love the idea of broccoli beef--meat plus my favorite veggie, what could be better? However, at your typical Chinese restaurant, the meat is horrible. I like my slow cooker recipe, but it's not a quick dish. Thus, I was happy to find a recipe that recommended a meat that cooks quickly but still can be tender--flank steak. I found this recipe at Rainy Day Gal. It was tasty, but missing something--I'm thinking maybe a pinch of crushed red pepper. 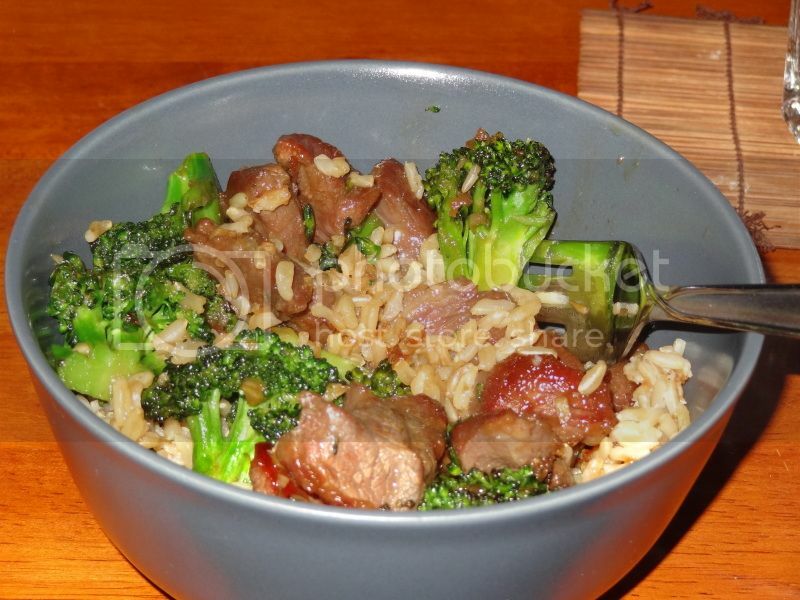 However, the sauted broccoli was nice and crisp compared to the slow cooker version, which was a nice change. 1. Whisk together marinade. Toss steak to coat. Cover and refrigerate for at least an hour. 2. In a large wok or saute pan, saute broccoli in oil for about 3 minutes until slightly browned but still crisp. Remove from pan. 3. Whisk together all sauce ingredients and set aside. Saute meat in additional oil, if necessary, until cooked to desired doneness. 4. Add broccoli and sauce to meat. Stir well and saute about two minutes more. Serve over hot brown rice.